What if I told you that I needed you to speak to a large group of about 1,000 people tomorrow about a topic that you are knowledgeable in. How would that make you feel? How would you feel if you had to lead someone to the Lord right now and walk him or her through the plan of salvation? What if you’re in a social situation where you don’t know anyone in the room? You have to be there, and your friends aren’t with you. You are forced to work the room alone. How would that make you feel? How do you feel when you find yourself in a circle of people talking about a topic that you have no clue about? Do you feel inferior? Do you ask questions even if they might be stupid, or do you quietly excuse yourself and abandon ship? Confidence is a huge issue that many leaders must navigate through. 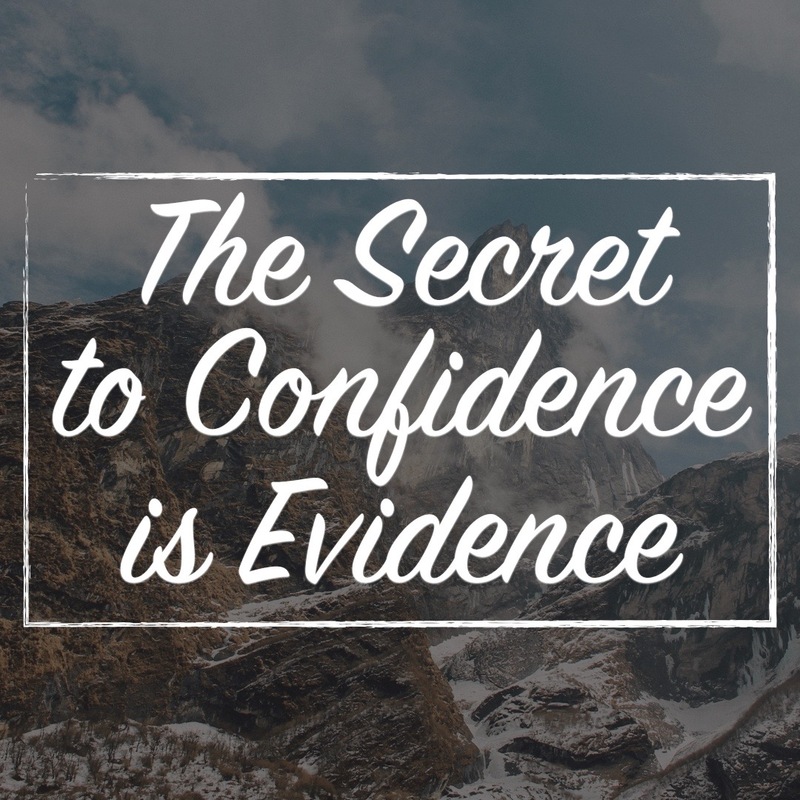 We gain (and sometimes lose) confidence through our experiences. No matter who you are, everyone has struggled with his or her confidence at one point. And everyone wants MORE of it. If I could just sing like her. If I could only make people laugh. If I were only taller. I wish I looked like him. If I could just play like she does. If I could just stop my nerves from destroying everything I try to do. I wish I could communicate like him. If I was that talented then I could ___________. Let’s break confidence down. The problem is our brain often holds onto the negative experiences we have. When we experience negative situations, feelings, and circumstances, our brain holds onto that memory, and it often takes center stage in our thoughts. Doctors say this is because it’s the brain’s job to make sure that we are comfortable. In order to be comfortable we want to be in a situation that is familiar and predictable. 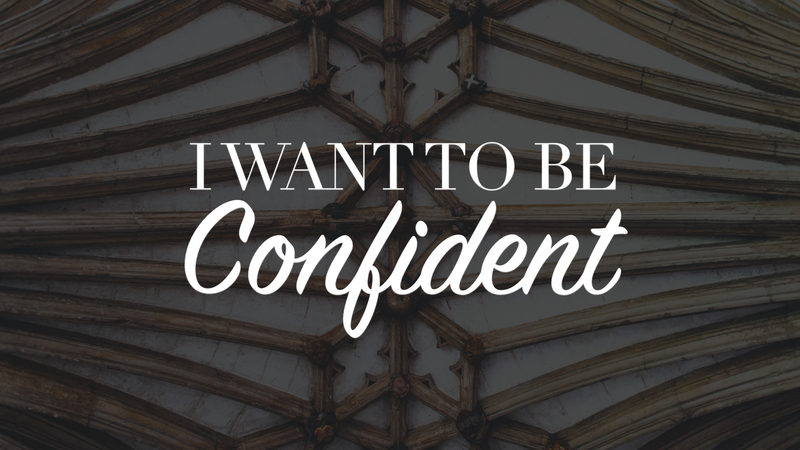 Often, we are our own worst enemy when it comes to growing our confidence. We shrink back from opportunities because we are unsure and afraid that the outcome will not yield the equivalent of our expectations. We often give in to our fears as a way to preserve what little confidence we do have. Familiarity and comfort becomes king of an insecure person’s world. Many times we say that the enemy is attacking us with fear. The enemy does attack us sometimes; I do not discredit that, but sometimes what’s really happening is that we’re trying hard to manage the sin of carrying fear instead of casting the fear down at the feet of Jesus. How many times in scripture are we commanded, “Do not be afraid”? One important truth to note is perfection does not equal confidence. Someone may be able to sing or play perfectly, but they actually have zero confidence. I’ve said many times before, “Oh, if I just knew I wouldn’t mess up, I wouldn’t be so scared.” Release yourself! I freed myself of perfection long ago because there are so many different interpretations of perfection. What is perfect to one person may not be perfect to the next. I find it healthier to focus on pursuing excellence by doing my best. Perfection isn’t the answer. Evidence is the answer along with a good dose of courage. Do not give yourself permission to decline opportunities to do what makes you feel uncomfortable. It takes courage to work on the weak areas in your life. It takes courage to work on things that you’re fearful of. Be courageous! One cannot have courage in the absence of fear. Lane Oliver wrote a great blog about courage here. Decide today what your short-term goals are and make a plan to work toward them. Intentionally put yourself in a situation to work on exercising your courage and building your confidence muscle. This is how you begin to gain the evidence or proof that you are indeed growing and improving your confidence. Strengthening confidence is a lot like getting fit. No one can do the hard work for you. Want confidence? Do the work. With more experiences under our belt we begin to feel comfortable. Build your tribe. Gather a small circle of people you respect and admire. Ask them to support, encourage, and pray for you in this area. Criticism is widely available; encouragement is not as easily accessible. Knowing you have someone in your corner, even when you are at your worst, eases the temptation to give up and quit when the bad moments strike. Even if only one person believes in you, then you’re more likely to believe in yourself. If all else fails, fake it ‘til you make it. Just go with the flow, and be yourself. I can think of many times that I did not feel adequate enough to do what God was asking of me. I have learned that adequacy is not the objective. Obedience and trust is. I’ve found that when I use my courage to get me through a nerve-wracking experience, without feeling a single bit confident; God can still use it for His glory. After all, it’s not about me anyway. Rachel Magee serves as a worship leader at Mid-Cities Church. She and her husband, Stephen, are entrepreneurs and have four beautiful children. Rachel is passionate about Jesus, leading worship, fitness, and living a healthy lifestyle. She loves to make a difference by inspiring others to reach their dreams and goals.